We’ve all been there. We’re having a great day; we got to exercise this morning, take a shower and then suddenly, before you know it, our phone starts blowing up and we have to race to a meeting or pickup our child at school, or go anywhere we must, without adequate time for a meal. Yes, we can grab a protein bar for the road, but after such a great workout – that won’t be enough food to last. So, you think ‘I’ll pickup something on my way home’ and then that doesn’t happen. Hunger has kicked in, and now as you’re driving, you start to get angry at cars that go in front of you. At this moment, they cut you off and you’re mad. Eventually you’re a raving lunatic – all because you are so hangry. Yes, you’re hungry and angry. Hangry. The word we created to describe the way we feel when our blood sugar is so low that we feel ‘I’m so hungry I can eat a horse’ and ‘give me food now or I’m gonna kill you’. Simply put, we feel hangry when we fall out of the zone. The zone is the way we feel when our blood sugar is balanced, our energy is stable and we’re making more energy by burning stored fat. We love the zone! So, why would we ever want to fall out of the zone? We don’t. Everyone feels better when they’re in the zone. And now that you know the health benefits of living in the zone, I’m even more positive you’ll want to stay in the zone. Right? If it were that easy to live in the zone at all times, rest assured, I’m sure we would. As life shall have it, there are times we just get caught up in what we’re doing and we just forget to eat. Due to the tasks of living and working, we also must succumb to poorly timed meetings, work and child functions and of course, those unplanned time suckers and meal preventers, like emergencies, traffic jams and meetings that run through lunch. And we can’t forget about those who skip meals purposefully to lose weight or to save room for dinner. So, yes, there are times we easily fall out of the zone, our blood sugar drops, and we find ourselves starving. When prolonged, our hunger turns into hanger. Its like those cartoons when we see a person as a chicken thigh, or a piece of steak. (I’d love to suggest a carrot, but when you’re that hangry, no carrot will satisfy). Once we are hangry – all we want is food. Sugar, junk food, anything. And we want it now. Don’t mess with a hangry person, just feed them. In order to understand how to prevent hangry and stay IN the zone, we must first review the science behind the zone. Non-scientists bare with me, as I’ll always explain the Simple Solutions version of a science story. So here goes: everything we eat gets converted into sugar in our blood stream, via digestion. This sugar (aka glucose) is what our brain uses as fuel to allow us to think, and as fuel for the rest of our body to do functions such as grow our hair, nails, make energy, keep respiration (breathing) happening. So, let’s just agree that glucose is important and actually vital to live. The important point note is how high and how fast a food makes your blood sugar rise. For you scientists, this is called the Glycemic Effect of foods. We rate foods as High, Medium, or Low on this scale. The more Fiber a food has, the Lower the glycemic effect. The more processed a food is, the more carbohydrates it has and the closer it is to a liquid state – the Higher and Faster this food item will become sugar. Hence it will be HIGH on this scale. And if you eat a lot of this, you’ll create a lot of sugar, quickly. When we eat foods and combinations of food that are low and medium, we stay in the zone. So, a person eating more paleo and ketogenic, with attention to lower carbs in general is going to feel better, because they’re in the zone more often. Is Exercise The Evil Culprit? I would never call exercise a problem, as it is usually perfect and necessary. However, if you exercise and fail to eat afterwards, I can guarantee you’ll have a hangry moment. During which your body will be burning your muscles, not your fat, to feed your brain, and you’ll be storing fat and altering your hormones for the worse. So, it’s the failure to eat after the exercise that is most often the culprit and initiator for hangry moments. I cannot tell you how many thousands of people, including fitness professionals and personal trainers do a great job at their workouts and then fail to eat immediately afterwards. When this happens, I want you to know, that your exercise session was a waste of time, because you’ve messed up your metabolism and hormones, while setting yourself up to store fat instead of keeping the fat burning turned on. By the time we finish our cool down, our blood sugar drops, making it physiologically necessary to have: sugar. Yes, this is true. If you’ve been paying attention, you’ve probably guessed that this isn’t a free for all time to dive into junk food and actual ‘sugar’. This is a time to eat something that is HIGH on the glycemic index. For 30 minutes after exercise you have the Window of Opportunity – the best time to eat foods that have a high glycemic index. Just one serving. 6 ounces of Orange Juice is plenty -not an entire carton. Or a cup of melon, not an entire honeydew. After this snack of HIGH glycemic food, we must eat a balanced meal within the next hour. 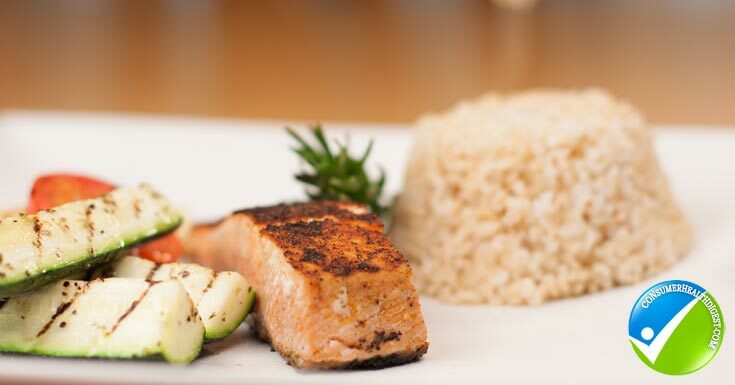 Let me say that again – after you workout, you need a quick snack right away that has a high glycemic index and then a balanced meal 45-60 minutes later. And then another low or medium glycemic, balanced, snack 2 hour later. IF you do all of this, you’re guaranteed to stay in the zone and avoid the thought of eating your arm or chewing off your friend’s head. There are other reasons our blood sugar might drop, pulling us out of the zone: very high stress, eating too fast, a typical diet of higher glycemic and processed foods, and the unspoken: parasites in the pancreas and when someone has a bacterial or viral infection (these are way more common than you think – if you’re easily hypoglycemic – ask your holistic healthcare practitioner to assess this for you). Toward the end of my master’s program in nutrition, I was working in a hospital on a diabetes rotation, and I had so many bouts of hypoglycemia, that I used the finger prick device that diabetics use, to test my blood sugar throughout the day and before and after meals. I learned that I had severe hypoglycemia all of the time! A few years went by and I became a master at holistic health and no longer had this problem. In fact, more than 20 years later, I can honestly say I haven’t felt hanger in so many years, I can’t even recall feeling that way. But I have been around plenty of hangry people to know it is a huge problem for so many – and a take home message: no one wants to be around you when you are hangry. The good news is that with attention to your blood sugar, and eating after exercise and on a healthy schedule, it takes less than 2 weeks and you’ll feel yourself in the zone most of the time. And it’ll be easy to know when you’re starting to shift out of this joyous place. If you follow my diet and guidelines, you’ll always have a snack nearby and be able to end the blood sugar drop instantly – preventing the hanger state. The number one most important thing you can do to stay in the zone is to ALWAYS have a snack stashed in your gym bag, purse, desk or glove compartment and to always think one meal or snack ahead. 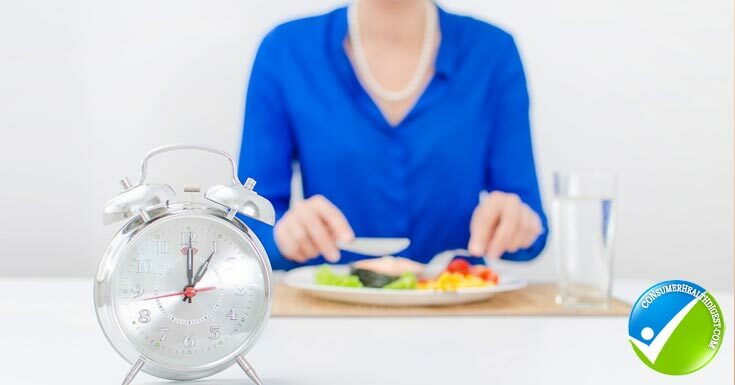 So, at lunch, you should be noting that its 12pm and your thought should be ‘I need to eat again at 2:45pm, and no later than 3.’ At that snack you should be thinking ‘I need to eat dinner by 5:30pm or I must have a snack at 5:30 if dinner will be later’. And so on. Got it? If you follow my plan below, it is likely you’ll be sick of eating by the end of the day. Please keep eating! You can stop anytime you are full and save the rest of the food for another snack. You must eat at least part of the meal/snack at the precise time. I call this drying out. You’ll feel leaner and stronger and within a day, you’ll start to feel that you’re in the zone. No one wants to be hangry and most certainly your friends don’t want to be around you when you are. It only takes 2 weeks of sticking to an eating schedule, and your blood sugar will be balance, and hanger will be a thing of the past, for you. So, plan ahead, keep snacks around, and start with my One Day Plan. It’s rather easy to do, and you’ll become a fat burning, energetic machine in no time.